I’ve been teasing everyone with my sourdough brownie trials on instagram lately. I got a big box of Guittard chocolate, kindly gifted by them, and I wanted to bake something super chocolatey with it! When I put the question on my stories, everyone was intrigued by the idea of sourdough brownies (as I had mentioned wanting to make them) so I decided to go ahead and do it! 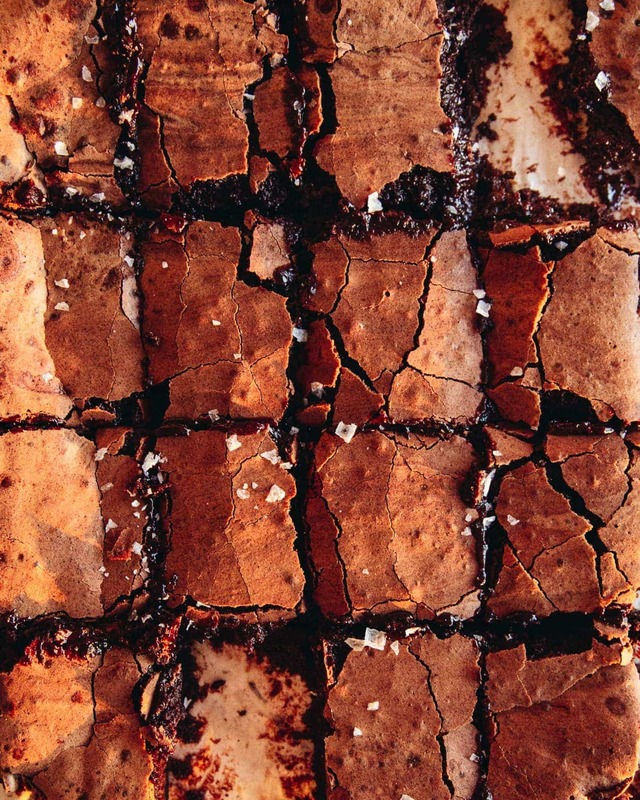 You might wonder what the point of making sourdough brownies is. 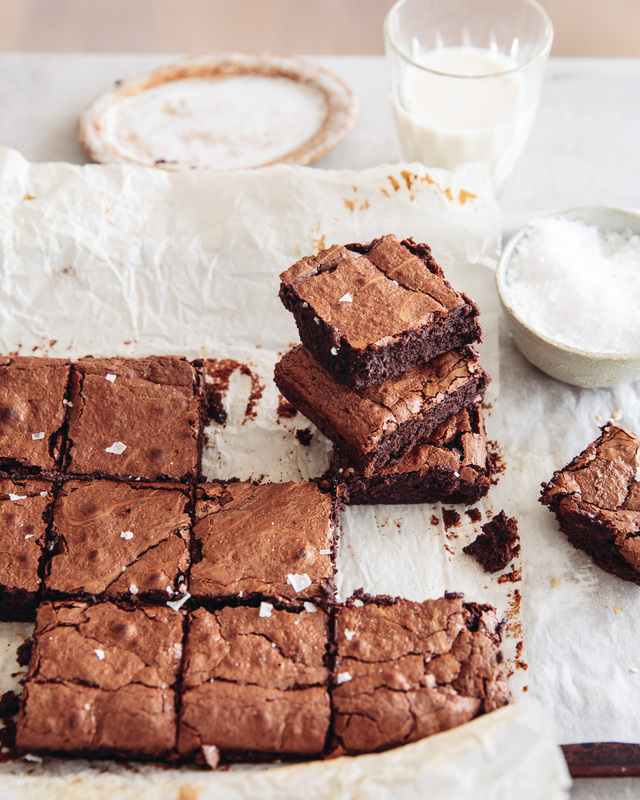 Regular brownies are EXCELLENT, why add sourdough into the mix? For me, it’s another delicious way to use up the sourdough discard that comes along with feeding a sourdough starter. You end up with a lot of sourdough going in the bin (as the nature of feeding it means you discard some every day). I’ve been trying to come up with easy, everyday recipes to use this discard instead of chucking it in the bin. Previously I’ve made waffles and crumpets using the discard. They’re both really easy to make but not ‘everyday’ recipes. Brownies, on the other hand, are something I bake quite often. They’re probably one of my favourite homemade bakes, even though I weirdly have very few recipes for them on here! So, if I can chuck some starter into my regular batch of brownies, it’s a win-win. My brownies get a bit of tangy sourdough magic, and I use up my discard! These brownies are my favourite kind. They have a very fudgy middle yet aren’t dense or dry. The top has a fine layer of crisp meringue – made by whipping the sugar with the eggs before folding in the rest of the ingredients. They’re crackly and sticky and delicious (especially with a scoop of vanilla ice cream and some sliced strawberries). You can freeze them in an airtight container if you need to. I hope you enjoy them as much as we have! Preheat the oven to 180°C (160°C fan / 350°F). 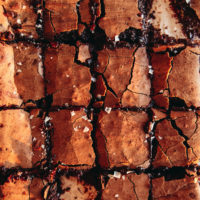 Line a 7.5 x 9.75-inch (9 x 25 cm) rectangular or 9-inch (23cm) square brownie pan with baking paper. Break the chocolate up into chunks. Place into a medium pot with the butter and vegetable oil. Set over a low heat on the stove and stir often (to prevent it burning), until the chocolate is almost fully melted. Remove from the heat and set aside so the remaining chocolate can melt from the residual heat. This next step can be done in a stand mixer with the whisk attachment, or in a large bowl with electric beaters: Place the eggs, egg white, salt and both kinds of sugar into a large bowl (or the bowl of the stand mixer) and whisk until pale and very fluffy. Add the water and vanilla then continue to whisk until the sugar has mostly dissolved - you can tell when this has happened by rubbing some of the mixture between your fingertips, if it feels very grainy, you need to keep whisking. This will take about 10-15 minutes. Mix the cocoa powder and sourdough starter into the melted chocolate mixture until completely combined. Add this mixture to the bowl of whipped egg mixture and fold together until just combined. Pour into the prepared brownie tin and bake for 30-35 minutes. The top should look dry and a toothpick inserted into the centre of the brownies should come out with some batter still stuck to it, but not LOADS. Let the brownies cool for at least 10 minutes before slicing into 16. Sprinkle with some flaky salt if you want! My sourdough starter is 100% hydration and I feed it with 50% white flour and 50% dark rye flour. This recipe should work with a 50:50 wholewheat + white sourdough starter as well. These worked either using discard from that day's feed OR using discard that I had collected in the fridge over a period of a week. Caster sugar is preferred for making these as the fine sugar crystals aid in getting that meringue-like top on the brownies. However granulated sugar will work just fine, you may need to whip the mixture for slightly longer. 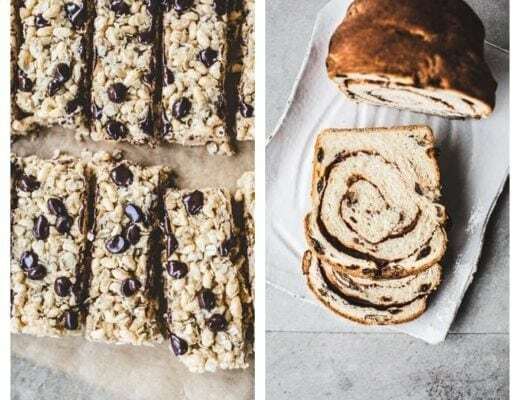 You can double all of the ingredients to make a larger batch - just bake in a 9 x 13-inch rectangular tray. The baking time should be 35-40 minutes. Don’t throw your babies away. Can’t you get them adopted by a good family? I certainly talk to my plants. At time mind you. 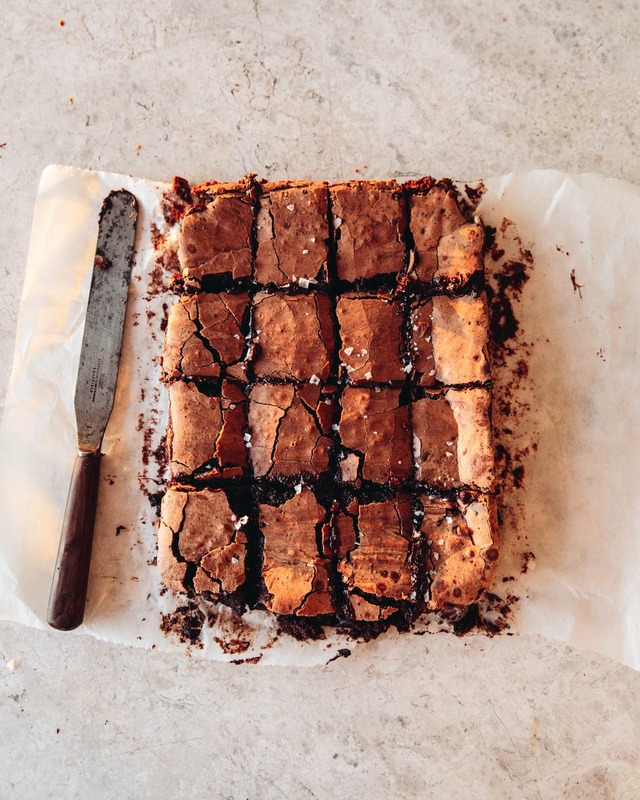 These soughdough brownies are an interesting spin. They certainly look nice.